MyTAG Postroom application has been installed in five major London buildings managed by BNP Paribas Real Estate. 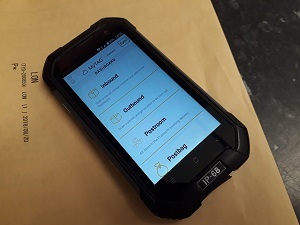 The extremely flexible and low-cost system, which is reinventing postroom management, is being used at 200 Aldersgate, 20 Old Bailey, Almack House, 20 Canada Square and 40 Grosvenor Place. MyTAG Postroom allows secure management of inbound and outbound mail, saving time and money and delivering a better service. The cloud-based system can be up and running in just a few hours, with as many people and devices connected as required.